Revit 2020 is finally available for download. Our team has been reviewing the latest Revit Architecture release throughout the Revit Beta program and is now enjoying testing out the final release since Autodesk made it publicly available. Whether you've already decided to download Revit 2020 or are playing it safe before you dive in, here are some of the major updates and features included in Revit this release. We've segmented them into three main categories of updates: Architecture (General), MEP, and Structure. In a year where we might have thought PDFs would surely have already become extinct, Revit definitely hasn't forgotten about them. No more workarounds, you can finally import a PDF directly into Revit and use it as an underlay. But next time you receive a PDF from someone, ask them to draw it in Revit instead next time so you don't have to. Revit 2020 brings a major step in its advanced wall geometry, including the ability to draw elliptical walls and curtain walls. Identical to the tools that already existed for creating lines, walls can now be drawn by sketching an Ellipse, Partial Ellipse, and even a Spline. Contractors, get ready to scratch your heads once we architects start digging into this feature. Walls are about to get much more complex. It’s understandable if you’ve never noticed, but the Scope Box parameter associated with views wasn't previously available to place in a schedule. You can now manage this parameter more easily from the schedule rather than going to each individual view. View Filters now have an additional filter allowing the user to not only filter by parameter, but also by category of System Family: Doors, Floors, Ramps, Stairs and Walls. This provides the user with another layer of view specific editing in an intuitive and useful manner. Revit 2020 also adds a new tool called Route Analysis: Path of Travel, which optimizes a travel path between two points selected on a floor plan. 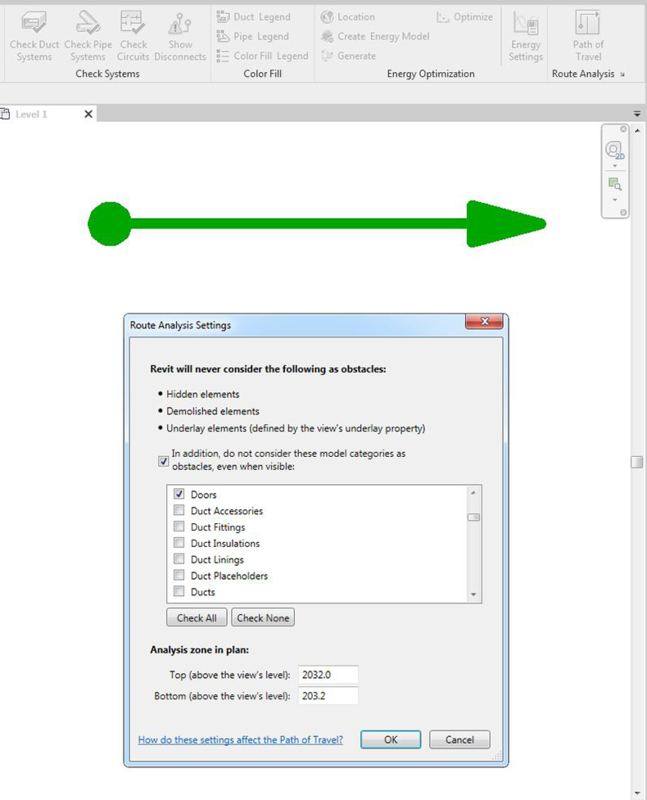 This new feature can be found in the Analyze tab within the Revit interface along with a properties dialog box, allow the user to specify what the software will consider an obstacle. Finally, you can copy and paste legends from sheet to sheet just as you would with schedules. This will save you a very tiny amount of time and a very large amount of frustration. Thanks Revit. For the first time, Dynamo is now included with Revit releases. Now Dynamo 2.1 will be installed with Revit 2020, consolidating multiple steps into one for Dynamo users and, well, not doing much of anything for anyone else. New in Revit 2020 is also support for importing Sketchup documents from versions up to 2018. This release of Revit introduces options to control the style and quantity of arrowheads and tick marks on electrical wire home run, offering a general improvement in the creation of clear and legible electrical documentation. Revit 2020 also adds the ability to generate comma-delimited files (CSV) from MEP fabrication models directly from Revit. The MEP Change Service Feature now has better support for multi-group/multi-shape services to be preserved or replaced in a single operation. Revit 2020 introduces a handful of improvements when working with steel connections. It adds the ability to re-create a steel connection that exists in a project with multiple of the same situation, adds parameters for weight, paint area, and bolt length to steel fabrication elements. It also includes other new features like steel connections grouping (allowing you to update all instances of the same type of steel connection from one place), new tags and dimensions of steel elements, and various performance enhancements. Imported geometry (direct shapes) can now be split into parts within Revit. 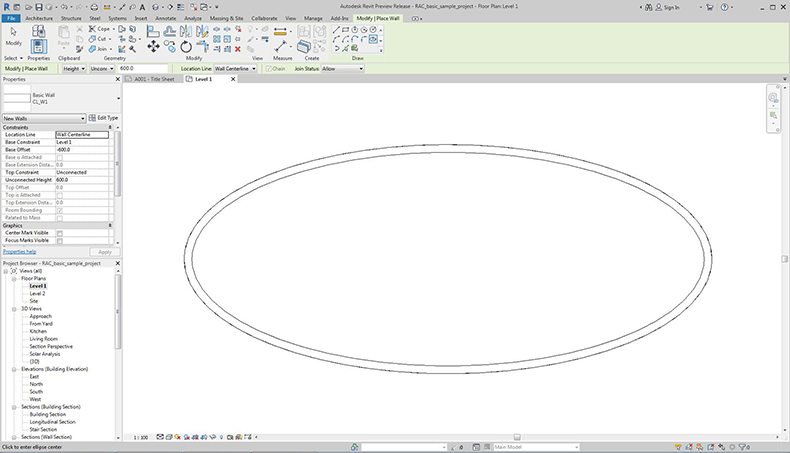 You can make cuts and adjustments to parts using Revit's opening and cut tools. Revit 2019 brought in significant feature sets for the use of rebar in Revit, and Revit 2020 builds on that foundation. This includes expanded functionality for multi-rebar annotations, improved experience when copying and moving shape-driven rebar, and a new ability to host any type of reinforcement in model-in-place structural elements of the Stairs category. 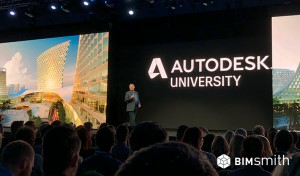 Finally, Autodesk claims to have made some speed and performance enhancements across all of Revit. Of course, it's hard not to give a grim smile and say "Riiiiiight." However, a specific instance given by Autodesk includes the instance of editing detailed steel connections in the 3D model. Revit now uses background processes to carry out performance-intensive tasks like this, allowing your workflow to continue while Revit works in the background. Let us know how this feature works for you, and if our skepticism is unwarranted. In case you're not satisfied with some of the high-level new features in Revit 2020, you can take a leisurely read through the Autodesk-issued full list of fixes and enhancements below. Warning: this is not for the faint of heart (or short of time). • Created a new 2D Exporter API to allow exporting geometric elements and properties of the elements from plan, section, and elevation views. • Added the ability to create, modify, and apply view templates through the API, so that view templates can be created and fully managed without the Revit user interface. • Added a new API method for specifying the minimum width of dockable dialogs. • Added an API method to get the name of a built-in category, without the need to open a project file. • Added a new API method that can be used to check if a built-in category id corresponds to a category in Revit. • Added the Parameter.ClearValue() method in API to reinitialize a shared parameter's value, provided its HideWhenNoValue flag is true. • Added the ability for the API to extract information about the elements that created a specific part. • Added the ability to customize the timeout value for cloud rendering upload through a configurable file. • Added the ability to create parts from DirectShape elements. • Added the ability to set pipe location based on top elevation or bottom elevation. • Integrated Dynamo Revit 2.1 into the Revit 2020 release. • Revised the justification behavior for conduit to respect the outside diameter instead of the nominal diameter. • Added API to enable defining feed through lug as the circuit connection type. • Added the ability to connect an electrical panel using feed through lugs. • Changed the Electrical Panel type parameter MCB Rating into an instance property. • Changed the Electrical Panel type parameter SubFeed Lug into an instance property. • Added options for arrow style on electrical wire home run. • Added options to control the quantity of arrow heads on the home run. • Added the option to show a tick mark on the end home run wire only. • Added the Analytical Properties group to analytical surfaces in the Properties palette for read-only inspection. • Enhanced openings in the energy analytical model to always be less than 100% of the parent surface area to allow energy analysis tools to simulate successfully. • Enhanced energy analytical model surfaces by merging adjacent and aligned small surfaces to create larger, simpler surfaces. • Added the Reference Level property to analytical spaces which reports "Not Available" in Revit 2020, but is reserved for future use. • Added the "Define Thermal Properties by" parameter to window, door, and curtain panel types to support assignment of analytical properties by schematic, building type, or user-defined values. • Replaced the 3D Energy Model view that is automatically generated when creating the Energy Analytical Model, with a view called Analytical Spaces that displays only analytical spaces with the model categories set as underlay. • Updated the FBX exporter to include the latest security updates. • Improved validation of fill pattern names to prevent duplicate names. • Added brackets <> to the No Pattern option in the Fill Patterns dialog to conform to the standard for non-editable system types. • Enhanced Sketchup import to support Sketchup files through version 2018 and brought in transparency in addition to color. • Set the Material Class property value to the imported file extension to allow for better searching in the Materials dialog for materials newly created during the import of SAT, SketchUp, and Rhino files. • Added a warning when a SketchUp file has a non-uniform scaling transform. • Removed the unused Orient to View, Colors, and Correct Lines Slightly Off Axis options from Import CAD and Link CAD when choosing Sketchup files. • Removed items related to the Communications Center and changed the Search text box to collapse by default, so that model and view names are more visible. • Added the ability to copy and paste legend views across sheets. • Improved the behavior of the scope box tool in 3D views so that when a scope box is removed from a 3D view, the section box remains enabled, and in the same location it was in when it was originally associated with the scope box. • Added a reminder to update Desktop Connector when it is out of date while using link topography. • Added the class AdvancedGlazing to the API to give access to predefined properties related to the physically-based glazing appearance asset schema. • Added 104 new material appearance assets with physically-based definition. • Improved the Material Browser user interface to improve the function of the material filter and material library. • Improved security for functions related to RPC objects. • Added support for 256 x 256 thumbnail size in the Material Browser to provide a larger preview. • Improved the nested family connector location so that it is properly located as defined in family definition instead of at origin. • Improved the Change Service feature to better support multi group/shape selections. • Added the ability to create comma-delimited files from MEP fabrication models. • Added the ability to set the location of fabrication parts based on top or bottom parameters. • Improved the API to enable identification of identical parts that are different as a result of slope deflection. • Improved performance when using the Edit Part dialog in large models. • Improved the performance of generating previews when opening the Edit Part dialog to modify fabrication elements. • Added the ability to use the Elevation parameter in tags, schedules, and view filters. • Added Default Elevation as a type parameter for non-hosted elements. • Renamed several parameters for specifying offset and elevation and relocated them on the Properties palette. • Added ability to schedule, tag, and use view filters for the Elevation parameter with cable tray fitting, conduit fitting, duct fitting, and pipe fitting. • Improved behavior to retain the element location when changing the Level property, updating the Elevation from Level property instead. • Added the ability to schedule and use view filters for level parameter with air terminals, fittings, accessories, and plantings. • Relocated the Schedule Level parameter in the Properties palette closer to the Elevation from Level parameter. • Improved behavior to retain the location of face hosted elements when the bottom of a wall is adjusted in a linked model. • Added a new dialog to display a warning when Revit detects a file saved outside of Autodesk software. 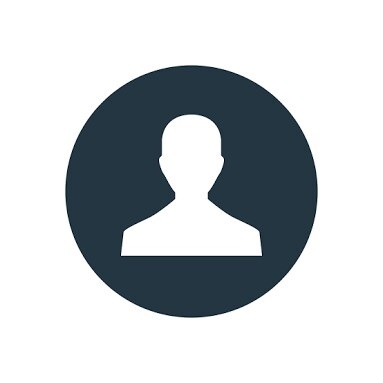 • Added the ability to add a raster image or PDF from Desktop Connector for use with Revit Cloud Worksharing and BIM 360. • Enabled the properties Horizontal Scale and Vertical Scale for a raster image or PDF so they are directly editable to scale the instance. • Added the ability to use a relative path for a raster image or PDF in the Manage Images dialog. • Improved the scale of images to preserve it on Reload and Reload From, so a new image is not stretched into the boundary of the existing image. • Improved the failure notification when a raster image or PDF fails to load. • Improved reload from the Manage Images dialog so a renamed image keeps its user created name. • Added tooltips to the Manage Images dialog that report size and other information about the selected image. • Added a new status in the Manage Images dialog called In Project for a raster image that is a saved image or saved rendering to clarify why it has no saved path. • Added the ability to directly import a single or multi-page PDF file into a view as a view specific object at a selected resolution, enable snapping if the PDF file contains vector data, and manage it in Manage Images. • Localized top and bottom reference names for balusters to allow exchanges of Revit files with multiple languages. • Added the ability to use Multi-Rebar Annotations to dimension the position of rebar sets with respect to the concrete host faces, or to any other dimension reference in Revit. • Added the ability to use Multi-Rebar Annotations to dimension free form rebar sets with planar and parallel bars in any 2D view perpendicular to the bar planes. • Added the ability to use Multi-Rebar Annotations for rebar sets with single segment bars in any 2D view, regardless of the view orientation. • Copying and moving shape-driven rebar is now more predictable, making rebar modelling more accurate and respecting the design intent. • Improved the rebar editing performance for stirrups placed in a host that contains a large number of bars. • Improved the behavior of standard rebar to not snap automatically to parallel stirrup bars when placing or modifying the bars. • Improved the behavior of shape driven rebar to not snap automatically to the concrete cover when copying or moving the bars. • Improved the placement and modification behavior of shape-driven rebar to automatically constrain only to host faces and stirrups that are in range of the bars. • Improved the behavior of rebar to automatically match user selected constraints when copying bars to a similar structural host. • Improved the creation of free form rebar through the API to also react to changes of specified shared parameters. • Added the ability to host any type of reinforcement, either shape driven or free form rebar in model-in-place structural elements of the Stairs category. • Fixed an issue that occurred with certain combinations of rebar type/shape that resulted in the reinforcement not displaying in 3D views when set to display as solid geometry. • Added the ability to initiate a workshared cloud model with File > Save as Cloud Model. • Improved the Revit Home error message when Revit cannot connect to the cloud server. • Replaced the original BIM 360 entrance from open dialogue to new cloud model browser in Revit Home. • Added the Route Analysis: Path of Travel feature, which draws an optimized path from a point A to point B by clicking on two points in a floor plan. • Enabled the ability to retain the most recent zooming level when opening a schedule view in the same Revit session. • Added the ability to show/hide gridlines for schedules using the API. • Added two new filter operators, "parameter has value" and "parameter has no value", that allow filtering elements based on one of the parameters having a value or being empty. • This feature provides an easy way to propagate (re-create) a steel connection in the current project where the exact same situation is found. • Added parameters for weight, paint area, and bolt length to steel fabrication elements to enhance the editing and annotation, and to ensure scheduling accuracy. • Added the ability to reuse steel connection configurations between Revit models by making connection parameters act as type parameters. • Improved the messages that display during the creation of steel connectors. • Added a Structural Material parameter for steel fabrication plates and profiles sub-elements, that is available in the Properties palette, tags, and schedules. • Added the ability to control the parameters for the holes created by Bolts and Anchors in the Properties palette. • Added the ability for radial and diameter dimensions to be added to holes for steel elements. • Added a new API method which verifies if there are any tasks in progress. • Added the ability to create dimensions on the center of holes and shear studs for steel elements. The snap points of the shear studs are only available in wireframe visual style. The snap points for the center of holes are available regardless of the visual style. • Disabled the Customize and Edit tools while editing custom connections. The Break tool is only available for connections that are not part of the respective custom connection. • Fixed an issue so that the Redo tool is available after Undo and Save are used on steel elements. • Fixed tooltips for Filter List control in View Filters dialog, so that if the filter name is wider than the control width, the tooltip will appear with the full name. • Improved the selection of categories to be more flexible and to extend the set of allowable parameters for an individual OR rule in view filters. • Added the ability to resize the Select Views dialog. • Added the ability to schedule the scope box parameter of views so that it can be visible and editable in the view list schedule. 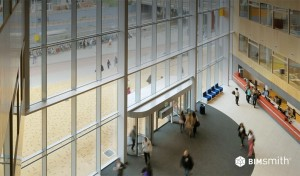 • Added the ability to create an elliptical wall or curtain wall. 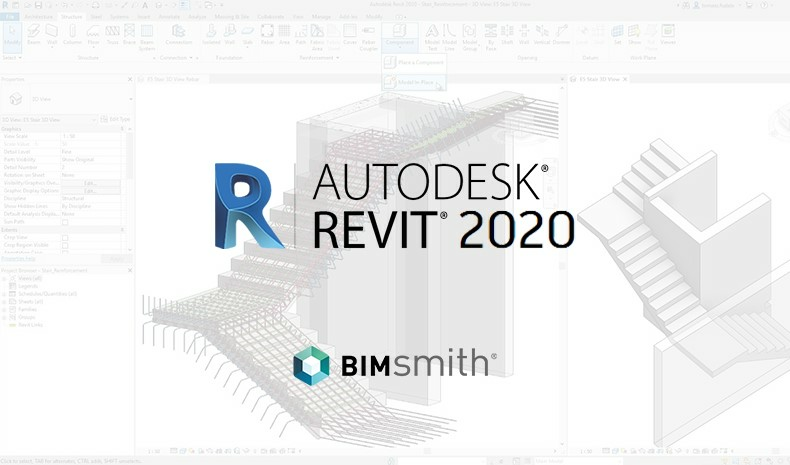 Keep an eye out for additional announcements and articles detailing what you need to know about Revit 2020. We'll keep testing it out and hope that you'll do the same (your project can wait...). Have other new Revit 2020 features or tips that others should know about? Comment below! Better yet, send us an email with a screenshot and we'll add it to the list.